Dying for the sake of "Palestine" as an ideal, even for Palestinian children and youth, remains part of Palestinian discourse. I know, its simply a cultural thing. They don't really mean they want their children to be fertilizer -- that would be insane. And Palestinians can't be insane, because that would be politically incorrect. And we can't argue with political correctness. The only difference is that Peres actually believes what he is saying. Ready for peace...and ready to fertilize the land with Palestinian children's blood. This Shabbat, the 11th of Shvat, we'll be reading about the splitting of the Red Sea. Four centuries ago the Jews who lived here witnessed firsthand how "The sea saw it, and fled; the Jordan turned backward. The mountains skipped like rams, the hills like young sheep." (Psalms 114). A major earthquake hit on a Thursday, the 11th of Shvat 5306 (Jan. 14th, 1546), with a magnitude of 6-6.5. The epicenter was apparently the northern Jordan Valley. The Mediterranean Sea drew back a along the southern coast. In Yaffo (Jaffa) a crowd rushed onto the suddenly dry seabed, unaware of the impending danger. Many died when the waters came rushing back. A tidal wave was reported in the Dead Sea. For several days the Jordan river dried up, as did rivers in the Gush Dan region. When water started flowing again, they were said to be fiery-red. A Jew writing about the earthquake describes how in Jerusalem the Church of the Holy Sepulcher, al-Aqsa mosque and the Dome of the Rock were damaged, and yet the synagogue was left whole. The upper rows of the new city walls built by the Ottomans, finished just 4 years earlier, crumbled. All across Israel buildings fell. Shechem (Nablus) was hit the worst, with about 500 people killed (including 3-4 Jews). In Jerusalem and Hevron there were about a dozen fatalities each, but no Jews were killed. These reports were written shortly after the earthquake, before the full effect of the calamity could be fathomed. To end on a more hopeful note, may we never suffer such calamities again. Israel suspects these three Hamas legislators had a role in the 2006 kidnapping of Israeli soldier Gilad Shalit. It ordered them to be deported from Jerusalem last summer. Instead, the three found refuge at the Red Cross, where they've set up a tent and held court on a daily basis, with no protest from their hosts. The three Hamas officials have been living there since July. 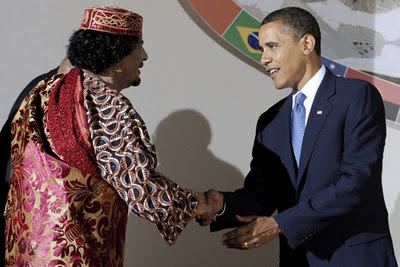 During that time, they've held a number of press conferences and met with foreign dignitaries, including former U.S. President Jimmy Carter. Every Friday, dozens of East Jerusalem residents gather at the Red Cross to hold prayers as a show of support. CBN News spoke exclusively Muhammed Totah, one the three Hamas officials, who denied involvement in Shalit's kidnapping, but refused to recognize Israel's right to exist. "The Israelis have come in 1948 to our historical Palestine," Totah told CBN News. "They have occupied 78 percent of our land. And in 1967 they have occupied the other 22 percent." Red Cross spokesperson Cecilia Goin told CBN News that hosting the wanted Hamas officials is in line with the organization's humanitarian mission -- despite Hamas' long track record of terrorism. "Under international humanitarian law, East Jerusalem is considered occupied territory," Goin said. "So the Palestinians living in East Jerusalem are considered protected people." 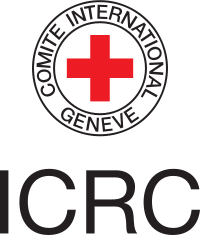 Goin, who refers to Israel as an "occupying power" in East Jerusalem, said politics are not involved in the Red Cross's decision. CBN News Senior Editor John Waage, who's long analyzed the Middle East, believes otherwise. "I think it's a thinly veiled, in your face statement to Israel that East Jerusalem is part of a future Palestinian state," Waage said. "The Red Cross has asked repeatedly to see Gilad Shalit," he added. "They've never been allowed to see him, and yet at the same time, they're housing three members of Hamas." Donate now to the Red Cross and help shelter wanted Hamas terrorists! Every Synagogue in Israel is inundated every weekend with over a dozen flavors of "parsha sheets" that addresses almost every possible segment of Israel's multifaceted Jewish community. 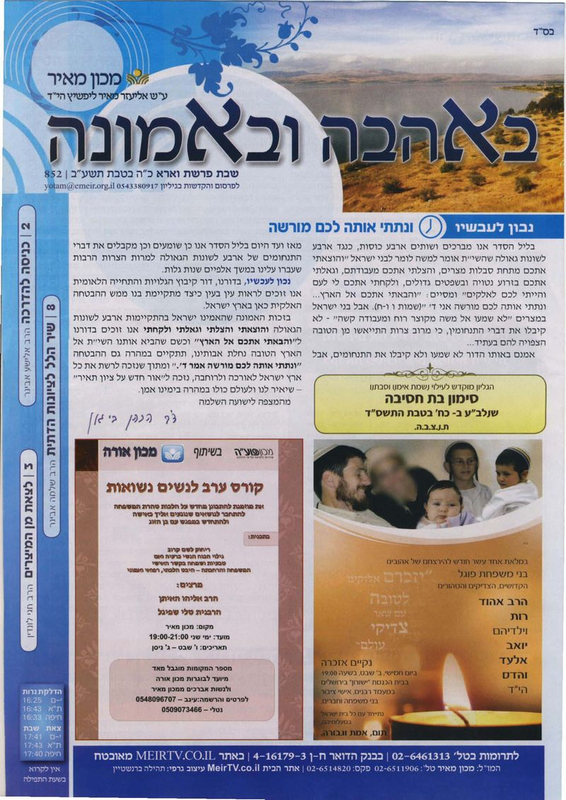 One of the "mainstream" publications is the veteran "B'Ahava uv'Emnua" (With Love and with Faith), published by the Machon Meir Yeshiva. 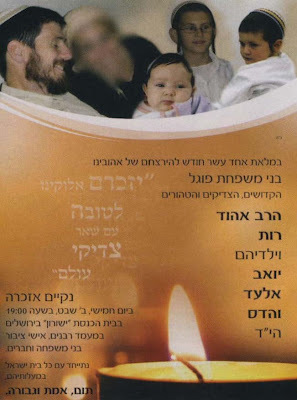 What made this Shabbat's edition so unique, is that this mainstream publication has adopted an ugly custom which was rather shocking for this center of the road, family parsha sheet. The publication's front page displays an ad -- a memorial for the Fogel Family who were brutally slaughtered by Palestinian terrorists. What makes the ad so shocking is that the face of Ruth Fogel is blurred out..."for reasons of modesty"
R' Haim Navon of Modi'in even refused to allow this edition of the parsha sheet into his community shul. Shalom, Respected Rabbi. Should the face of Ruthy Fogel be blurred in a memorial ad in the "Behava uvEmuna" newspaper? The Dati Leumi / National Religious movement in Israel has long been affiliated with "Modern Orthodox" -- even if the National-Religious tent envelopes a wider swath of Judaism that Modern Orthodox does (on both edges). As I've previously noted here, Israel is as egalitarian and progressive a society as exists anywhere on earth, and the whole exclusion of women thing is a completely fabricated non-issue designed to vilify the religious community. In any place where women are being physically excluded in Israel, it is a criminal matter and can/should be dealt with under the perfectly ample body of existing Israeli law. I use the modifier 'physically' above because there are others way that women can be excluded from our day to day lives. I have recently begun to notice that the creeping (and in my opinion, insidious) trend by certain extreme segments of Orthodox Jewish society to eschew pictures of women in advertising (and even news stories) has led to the practice of cropping and photoshopping women out of photos in just about every form of media that serves those communities. I fear that Orthodoxy is being led astray. Decades ago, devout, pious, and very religious women were not blurred out of pictures. Women were photographed at weddings and those photos appeared in wedding albums. Chareidi Orthodoxy has gone down the route of hyper-tzniut. It's distressing to see that Modern Orthodoxy is being led astray as well. 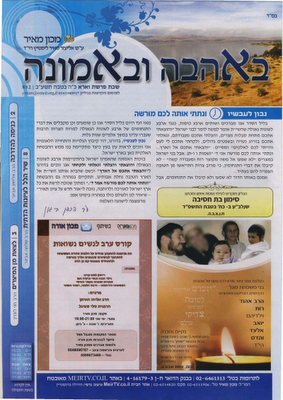 By blurring the face of Ruth Fogel, the Machon Meir ""B'Ahava uv'Emnua" publication shows it has no love and no faith. How can we possibly strive for an integrated Israeli society, if a tactful photo of a murdered woman, a mother sitting with her husband and children is considered too immodest for a parsha sheet? מכון מאיר מביע בזאת את התנצלותו הכנה על פרסום בלתי ראוי של תמונתה של רותי פוגל הי"ד. המכון מתנצל בפני משפחות בן ישי , פוגל ובפני הקוראים שנפגעו מן הפרסום. Machon Meir hereby apologies for the improper publication of a photo of Ruthy Fogel, HY'D. The Machon has apologized to the Ben-Yishai and Fogel families, and the readers who were hurt by the publication. Tzvi Arazi -- General Manager of "BAhava uvEmuna"
Why did they apologize, if R' Aviner said this was totally appropriate and the right thing to do? We recently celebrated Hanukkah, commemorating the revolt led by Judah the Maccabee and his glorious brothers against the Greeks. Throughout our history there were other revolts, minor and major, in Israel and abroad. Here in Israel Jews continued to yearn for national and religious redemption, and when they thought the time was right, took steps to achieve it. More than 750 years after the Hasmonean revolt, the Jews again rebelled against foreign conquerors: the Byzantines, ruled by Emperor Heraclius. The story of the Heraclius Revolt starts in the early 600s, when the Persian (Sassanid) army invaded their old enemy, the Byzantine Empire. By 614 the Persian army was approaching Israel. The Jews, who suffered greatly under the Byzantines, realized this was a 'now or never' moment and rose in rebellion. The Persians did not have any specific interest in helping the Jews, but they needed local support in order to conquer the Byzantines. Also, in order to reach the capital Caesarea they had to go through the Galilee, which was a Jewish stronghold. And so a pact was made, Jewish support in return for national autonomy. The Jews believed history was repeating itself, as in the days of Cyrus (Koresh). Once the Persian army reached Israel, they were joined by the local Jews. The Jewish battalion was led by Nechemia ben Hushiel, reputedly the son of the Exilarch. Additionally there were many Jews in the Persian army itself. Together they conquered Jerusalem and the Persians gave the Jews control over the city. The Jews prepared to resume Temple worship, like their Maccabee ancestors they purified the city, and according to one Jewish source, restarted offering sacrifices. The Persians continued on in their conquests, and the Jews set to help out by conquering the cities along the coast: succeeding with Acco, then failing miserably in Tyre. The Jews ruled Jerusalem for about three years, until 617, but victory was short-lived. Once the Persians conquered the land, they realized they did not really need the Jews anymore. The Jews made up just 10-15% of the total population and could not rule the country. The Persians got to the conclusion that they would be better off striking a deal with the Christian majority, and so, betraying their former ally, they agreed to make Jerusalem a Christian city and kick out the Jews. The Jews did everything they could to reverse the decree, but to no avail. Ten years later the Byzantines reconquered Israel, but their days here were numbered, since very shortly afterward the Arabs arrived on the scene. An old joke asks: What's the difference between ignorance and apathy? Answer: I don't know and I don't care. That's in general the attitude towards the period of Israeli history which starts in the early 3rd century, when the Mishna was edited, and ends in the late 19th century, with the Zionist aliyahs. Isn't that what we all learned? The Mishna was written in Israel, and after that the focus of Judaism moved to Babylon for the Talmudic and Gaonic periods. Whatever few Jews remained in Israel during this period were forcibly converted to Islam and finished off by the Crusaders. In Exile, Jews continued to yearn for Israel, but the land was empty, waiting for its rightful owners to come back. Turns out the truth is quite different. During those "Dark Ages", Jews not only lived here, they set the foundations for almost every aspect of Jewish life today. Whenever we daven in shul, read the Torah, look up a Rashi, sing around the Shabbat table or light the Hanukkah candles, we connect to the Jews who lived in Israel during the Exile. We just have no idea that's what we're doing. Some of this ignorance is due to the fact that we really don't know much about this period. Before the discovery of the Cairo Genizah in the late 1800s we didn't know how much of our cultural heritage was composed here in Israel under Christian and Muslim rule. Take for example the recent discovery of a Menorah stamp near Akko (Acre): We now know about an entire Jewish community we had no idea existed! But what of all we do know about this period? Several months ago I wanted to prepare a clip about Jewish longing for the Land of Israel. I started by collecting materials about Jewish praise for Israel. The more I read, the more I realized Jews didn't just long. They didn't just praise Israel from afar. They came, and they were here all along. My clip fell apart. At some point, the shock of these new discoveries turned to anger. Why wasn't this common knowledge? Zionist romanticism aside, shouldn't a nation know its own history? It certainly wasn't part of my school's curriculum. My history classes ended with the Second Temple and picked up again with the advent of Zionism. In literature we studied the Spanish Piyyut, not the extensive Israeli work. Although it was a religious school, I never heard of the many Israeli Midrash books. This is our heritage, our culture, and our identity. Sheik Jameel graciously agreed to host my posts in this corner of the Muqata, and so I hope in future posts to shed some light on this little known but very influential era of our history. 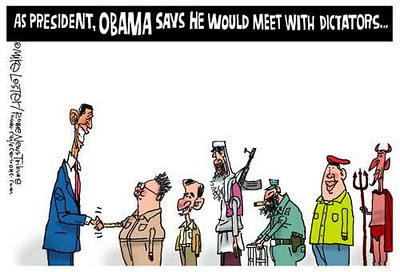 The US Administration refuses to meet Israel's Foreign Minister...but not with terrorists and dictators. 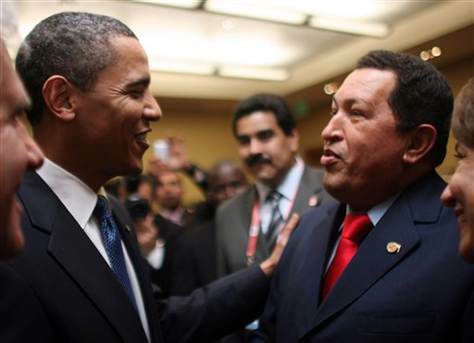 "I said early in this campaign I would meet not just with our friends, but with our enemies. Not just with those we like, but those that we don't...Senator Clinton said, 'oh no, that'd be naive, that'd be irresponsible.' I said, 'remember what John F. Kennedy said, he said 'you should never negotiate out of fear, but you should never fear to negotiate.'" --Barack Obama, Florence, SC, Jan. 25, 2008. President Obama is more interested for his administration to meet enemies of the USA, but refuses to allow Secretary of State to meet with Israel's Foreign Minister? Israel's Foreign Minister is expected to make an official visit in Washington in a few weeks, yet to date no meeting or discussion has been scheduled by the American administration. US Administration officials referred to Lieberman as a "hostile" force, and continue to refuse the offers of the Israeli foreign minister to meet him. Their excuses range from "Hillary Clinton is out of town", to more more explicit explanations. "Lieberman is an obstacle to peace, we do not want to be photographed with him and what he stands for," said one senior American officials to Israel Channel 2 TV, in tones usually reserved for terrorist organizations. It should be noted that the strategic dialogue is conducted with Deputy Foreign Minister Danny Ayalon, which required the intervention of Prime Minister because [not meeting with the Foreign Minister] was directly impacting the relationship between Israel and the US. 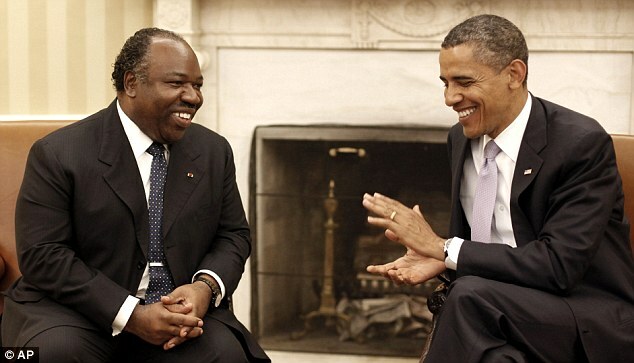 The US Administration has a problem meeting with Israel's foreign minister. The list is endless. It's just unfortunate that the US Administration is ignoring the huge segment of the Israeli population which elected Lieberman, while having no problem meeting with some of the world's worst vermin. 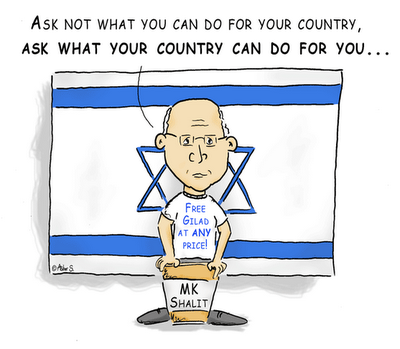 Joining the political rat-race in Israel, Noam Shalit -- famous for being the "Father of Captured IDF Soldier Gilad Shalit (tm)" has decided he has what to offer Israel in terms of leadership and vision. For the record (which you won't easily find), Noam's wife was is? an active member of the anti-IDF "Machsom Watch" organization. 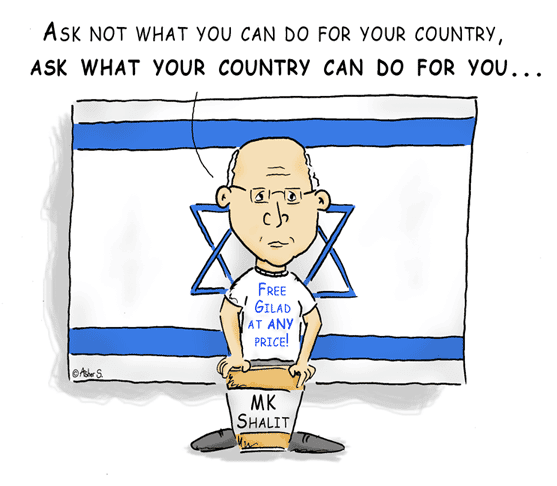 So why would Noam Shalit, make an excellent MK? Because MKs in Israel are notorious for not accepting responsibility for their actions. Oslo Accord leading to the deaths of thousands of Israelis -- make you eligible to become Israel's President. Yank the IDF out of Lebanon resulting in the second Lebanon war -- you become Defense Minister. Evict 8000 Jews from their homes, leading to thousands of rockets on Israel's Negev heartland (and terrible conditions for the Jewish refugees) and you end up leading the biggest party in Israel. Noam Shalit may be a dedicated father who stopped at nothing to get his son released -- regardless of who may be killed as a result, and ignoring the terrible injustice of releasing terrorists from imprisonment. Yet that has nothing to do with leadership or proving one is worthy of making difficult choices needed to lead Israel. He had no difficult choices to make -- his only choice was to support releasing Gilad at all costs. Shalit also managed to elicit the anger of those orphaned by the terrorists freed for his son -- "A Letter to Noam Shalit" from Meir Schijveschuurder. Welcome to politics Noam Shalit. A Million NIS to anyone proving that the Migron Settlement is on "Stolen" Land. The Migron Community sits atop a mountain overlooking Highway 60 -- the main North-South traffic artery in the Binyamin region of the West Bank/Shomron and Yehuda territory. The US Administration and Peace Now are both pressuring Israel to dismantle the small Jewish community of 50 families. Calling it an illegal settlement...an "occupation" settlement...a thorn in the side of the Palestinians...this community has been slated for destruction by numerous Israeli governments. An excellent op-ed piece was presented in the JPost a few months ago, summarizing the injustices heaped upon the Jewish residents. Despite extensive media coverage of Migron’s legal battles to survive, judicial edicts by a few members of Israel’s Supreme Court, and misrepresentations by those who oppose Migron’s presence, the facts concerning this Jewish community have not been presented fully, or fairly. The controversy revolves around two main issues: (1) who owns the land, and (2) if there was government negligence, who was responsible and who should be compensated. Despite the trauma of expelling 9,000 people from Gush Katif and the northern Shomron, Israel seems on the verge of repeating its mistakes. Built more than a decade ago, Migron received the active support of the prime minister, the defense minister, the IDF commander, the civil administration, the housing and construction, transportation and communications ministries, the electric, water and telephone companies, as well as other government agencies. In other words, because of Migron’s strategic location, it was established with de facto government approval. To this day, except for legal battles being led by Peace Now, there is no one who contests the ownership of the land. Not one Arab has come forward to claim the settlers have "stolen" it. To make the matter even more absurd, Israel's High Court has even adopted the position that Jews may be evicted from their homes even if no opposing land ownership claims are presented. Of course, such a position is not held when it comes to Arab land claims in the West Bank, Arab land claims in pre-67 Israel, or Jewish land claims in pre-67 Israel. In a normal society, if "Peace Now" didn't show up within a few days attempting to claim the million NIS, they would be humiliated and the slated destruction would be halted. The problem that Migron faces, and Israel faces in general is that negative campaigning is more effective. It's so much easier to throw words into the wind that Migron needs to be destroyed, and watch Israel's media and Supreme Court pick it up and run with it, than to build. 1. 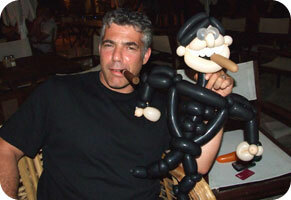 Media Personality Yair Lapid announces he is entering politics to run for the Knesset. Lapid's party immediately polled-in at around 20 seats....mostly at the expense of Tzippi Livni's Kadima party. Lapid's father Tommy Lapid founded the "Shinui" party which lasted for some time and was based on advancing the secularity of Israel. 2. The Knesset is so much fun these days -- today, Labor MK Raleb Majadele verbally insulted Yisrael Beiteinu MK Anastasia Michaeli...who responded by throwing a cup of water at him. 3. 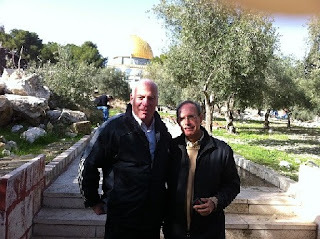 Kadima MK Nachman Shai makes surprise visit to the Temple Mount (after going to the mikva, and wearing sneakers). MK Shai was accompanied by MK Uri Ariel. Ariel summed up the meeting: "There is great importance to increase love and unity among Israel, and specifically the Temple Mount in United Jerusalem. I am happy that MK Shai agreed to be part of this enterprise and I hope that others participate as well. 4. 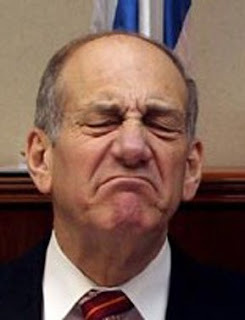 Channel 2 News scoop: One of Yair Lapid's senior advisors...none other that squeaky clean ex-Kadima party hack (and previous Prime Minister of Israel), Ehud Olmert. 7. So much more...will update soon. As if the violence against the Orot Banot schoolgirls isn't bad enough, now some self-styled revenge vigilantes have been attacking Chareidi/Ultra-Orthodox school children...and adults. A young man reportedly got on a bus in Jerusalem, shouted "the cursed ultra-Orthodox," and threatened a 10-year-old girl • The man allegedly kicked the young girl from behind and warned her not to ride the bus again. A 10-year-old ultra-Orthodox girl was apparently attacked by a secular passenger on a bus in Jerusalem on Monday, according to a report by Army Radio. Boy attacked by secularists says, "I'm afraid to walk in the street"
David L. aged 11, was attacked this morning by 2 secularists. In a "Kikar Shabbat" exclusive interview, the 11 year old said, "they threatened me, slapped me and screamed at me. I couldn't stand up." The mother said, "the boy was attacked by 2 thugs. They caught him at the bus stop, and then punched him in his face and from behind, all while screaming at him." The mother also said that her son is now traumatized, and she has filed a formal police complaint. According to the mother, "the cause of the attack was due to the anti-Chareidi incitement by the media"
Kikar Shabbat: is your son now afraid to go to school? Instead of trying to resolve the tension, idiots are now actively calling for a civil war, and getting press time in Israel's idiotic leading newspaper. Update: In response to the commenter as to the accuracy of the above reports, the JPost also reports on the anti-Chareidi violence in its breaking news section, though they basically paraphrase the news from the Kikar Shabbat website (as I did, before them). 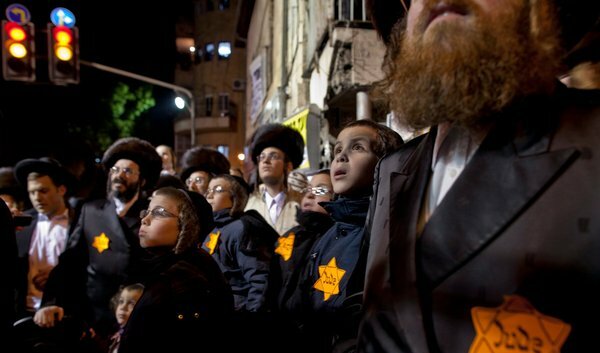 At least two incidents of abusive attacks against ultra-Orthodox children have been reported to the police this week, in the wake of the recent storm surrounding several incidents of haredi extremism and the intense media attention that has followed. According to a report from the haredi news website Kikar Hashabbat, on Tuesday morning an 11-year old boy, referred to as David L, was physically assaulted by two secular men. According to the boy’s mother, Malka, the two men began shouting at him, and struck him in the face several times. They also attempted to prevent him getting on to his bus although he eventually succeeded on boarding by sticking close to a group of people also getting on the bus. Jerusalem police spokesman Shmuel Ben-Ruby said the boy and his mother came to the police station and filed a complaint later that day. The police opened an investigation into the matter. The Israel HaYom newspaper is not any more unreliable than Haaretz, NRG, YNet or the JPost. This past Saturday evening, there was a ultra-Orthodox protest in Jerusalem against the media's ongoing blistering attacks on the entire Chareidi population of Israel. Raising people's ire was the use of Holocaust imagery, as demonstrators wore "Jude" yellow stars -- similar to those that Jews were forced to wear in the Nazi era of the Holocaust, and others wore concentration camp prison uniforms. “The use of yellow patches and small children raising their hands in surrender crosses a red line which the ultra-Orthodox leadership, who are largely responsible people, must not accept,” he added in a statement. Haaretz got into the act and quoted every politician they could find who would slam the imagery. And yet...the truth is, there's only one reason everyone is upset. It's because the demonstrators are Ultra Orthodox. When the "social justice" (tzedek chevrati) movement used the exact same imagery this past summer, no one batted an eyelash. Opposition Leader Tzippi Livni didn't crawl out from under a rock to blast the sacrilegious usage of a yellow star. Defense Minister Ehud Barak was strangely silent. IDF Radio, Haaretz, YNET, TV Channels 2 and 10 overlooked it. No one cares. Social Justice trumps all. And the Ultra Orthodox will be blamed no matter what they do. 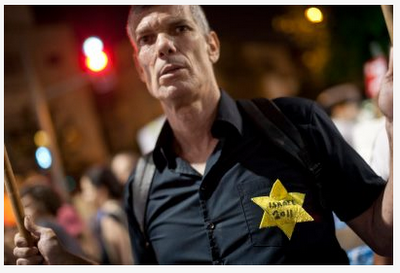 Photo of Social Justice Protestor from this past summer in Tel-Aviv. Everyone is familiar with the concept of the "lost tribes" of Israel that were scattered to the ends of the globe. This has led many over the past few hundred years in a quest to find them; India, China, Japan...(even organizations like Shavei Yisrael that are dedicated to finding these tribes and bringing them home to Israel). This past Friday, Israel Channel 2 news reported a startling discovery; a cave in Afghanistan, with buried scrolls, manuscripts and fragments -- of Jewish origin. The importance of this find could even rival that of the Cairo Geniza. (The earliest example of Yiddish writing was found in the Cairo Geniza). The analysis of the scrolls and remnants will help determine in what time frame they were buried -- is this the work of lost tribes? Travelers along the silk route to the Orient? Where did the Jewish community that buried those fragments end up? Great way to start the week - Shavua tov!